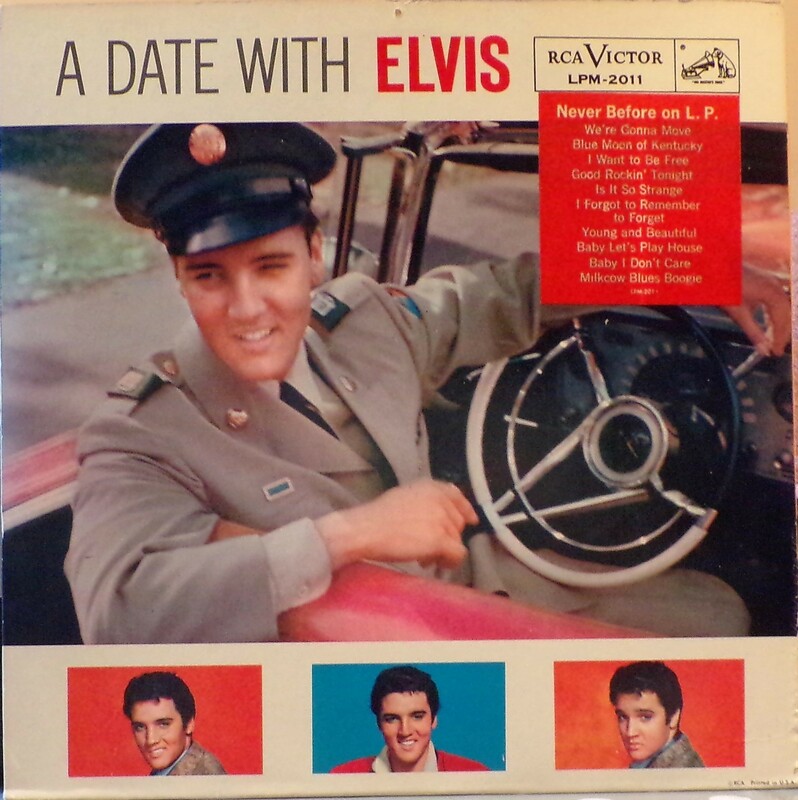 A Date with Elvis is the eighth album by Elvis Presley, issued on RCA Victor Records (LPM 2011) in July 1959. It is a compilation of previously unreleased material from an August 1956 recording session at 20th Century Fox Stage One, two from Radio Recorders in Hollywood, and multiple sessions at Sun Studio. The album reached #32 on the Billboard Top Pop Albums chart. After Presley's induction into the army on March 24, 1958, RCA and his manager, Colonel Tom Parker, were faced with the prospect of keeping his name before the public for two years with no possibility of live performances, no movies, and with few unissued marketable recordings in the vault. 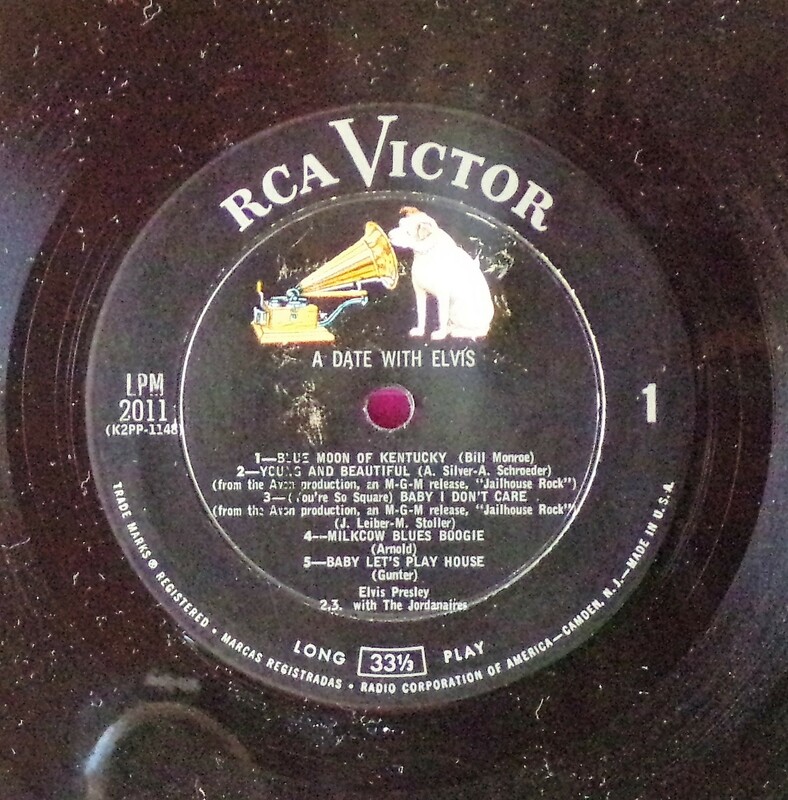 A recording session was arranged for two days in June, which yielded enough items for five more single sides, singles being the commercial focus for rock and roll in the 1950s. Four of those tracks would be issued on 45s in 1958 and 1959 during his absence while doing military service. Presley, however, also did well in the albums market, all but one of his previous seven LPs charting no lower than #3, and RCA wished to continue promoting albums by Presley given his sales record. Much of Presley's material had not been released on LP, and for this album RCA collected material previously unavailable on album. Like its predecessor For LP Fans Only, this album featured tracks that had been issued on Sun Records with limited release, and were almost impossible to locate beyond certain parts of the south. The remaining five tracks derived from three different EPs issued in 1956 and 1957. Even by the standards of the late 1950s and early 1960s, where long-playing albums often ran to only about 35 minutes, this was a very short album at twenty-three minutes, and as such became the lowest charting Presley LP of the decade. 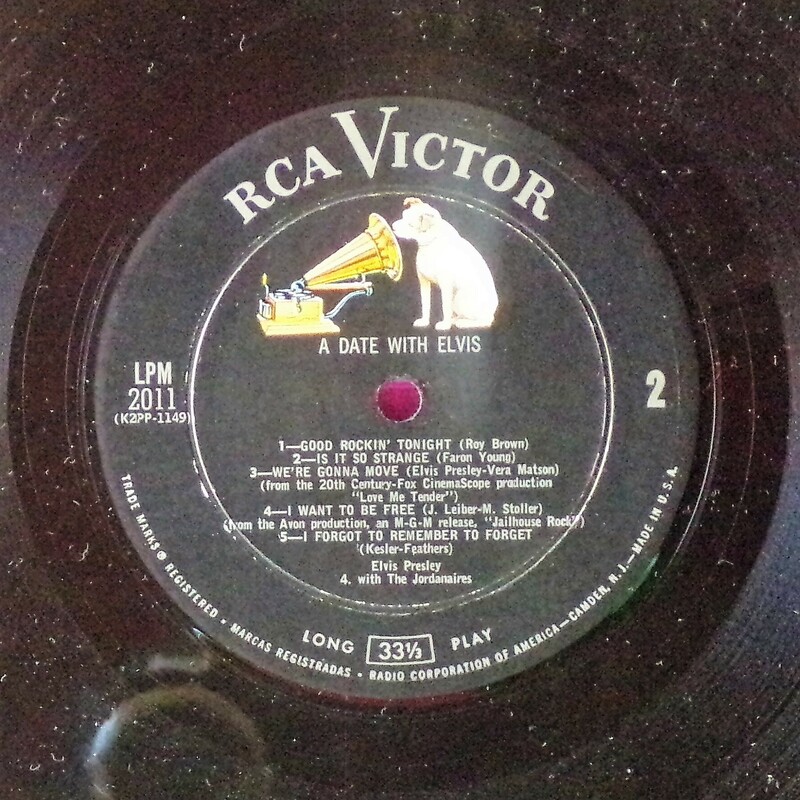 RCA would squeeze one more album in 1959 out of previously issued material, the second singles collection, but it too would be a lower seller by previous standard. Presley would return from overseas in 1960 to commence proper recording again. 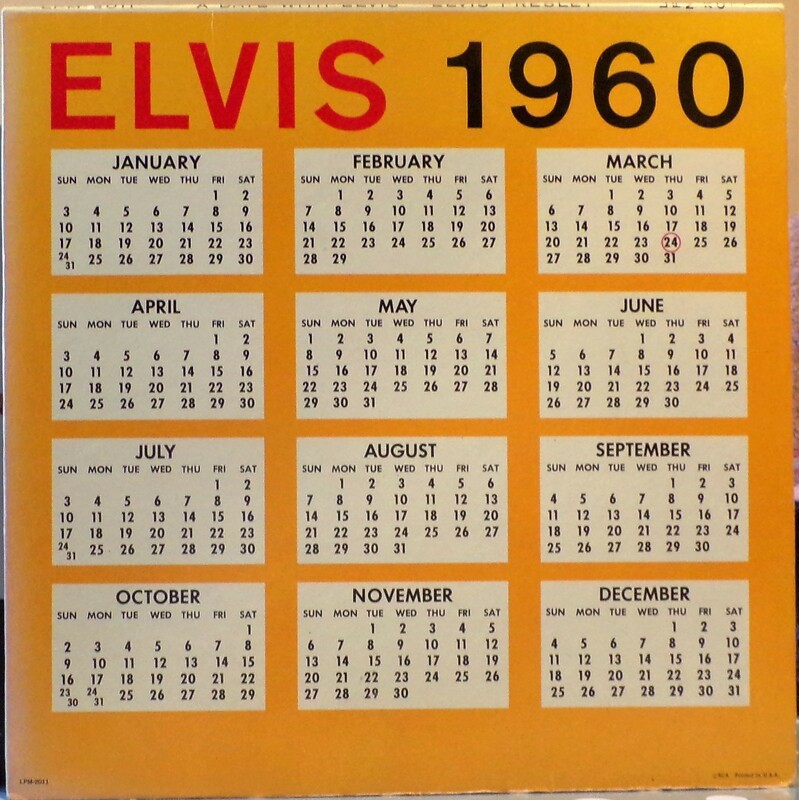 this album also folds out to be a calendar for the year 1960. Front Cover : 4 Elvis photos. Catalogue number top right. Red sticker with song titles in white. ​Rear Cover : 1960 calendar. Catalogue number bottom left. Bottom right has Printed in U.S.A.
Gatefold with letter to Colonel Tom Parker from Elvis to pass on to​ his fans. Song titles in centre. Various Elvis photos in his dress uniform with captions underneath. Side 1 : Right side has number 1. Side 2 : ​Right side has number 2.